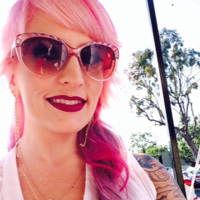 Jessica has been a stylist since the year 2000 in both Newport Beach and her hometown of San Clemente, specializing in chemical services such as coloring, lightening, color corrections and straightening. She is trained as a color expert with Wella International which gives her the ability and know how to keep her clients’ hair healthy and lustrous while maintaining their beautiful hair color. 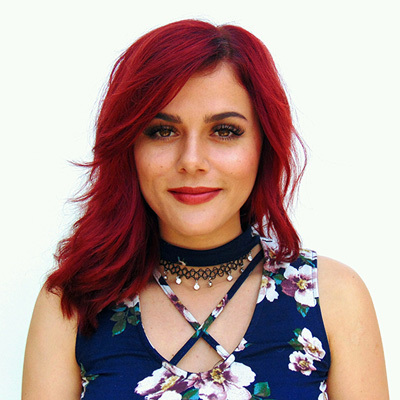 Jessica strongly believes in the continuing of education and is constantly seeking fresh looks and techniques to keep her at the top of fashion trends in the beauty business. Jessica is pleased to provide excellent cuts to both men and women with her knowledge of advanced hair cutting. She gives special care to thick, curly, unmanageable hair. She also has the skills in making the thinnest of hair appear full and luxurious with her styling abilities. 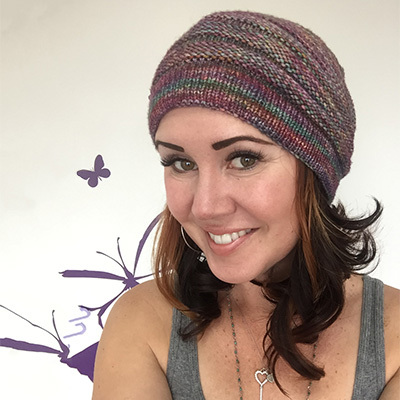 She holds advance training in NXS, Hotheads hair extensions and custom keratin treatments. Jessica constantly seeks to improve Salon Bleu to give all clients the best salon experience possible. She has also been delighted to bring further enjoyment to the salon by hosting the works of local artists and well received art shows. Yaling, a San Clemente native, has been a professional hairdresser since 1995. 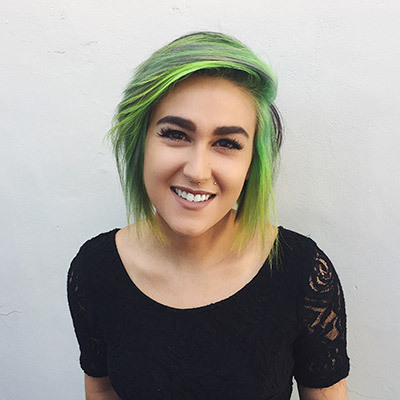 She started her career at Walter Claudio Salon Spa in Santa Barbara where she was thoroughly trained in Vidal Sassoon precision cutting, razor cutting techniques and had an apprenticeship with the salon’s top colorist. Shortly thereafter, she added makeup artistry to her skill set and began doing work with fashion shows and photo shoots. In 1999, Yaling returned to her hometown of San Clemente where she joined Salon Jessarine – the former incarnation of Salon Bleu. In 2000, she moved to Toba Salon where she spent 12 years fine tuning all of her skills and growing her wonderful clientele. 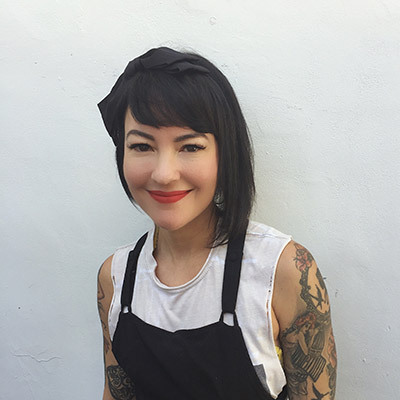 Yaling is thrilled to join the Salon Bleu team and providing a serene setting for her much loved clientele.Yaling’s passion in styling lies with incorporating texture into haircuts for both men and woman through her very skilled razor cutting techniques. This mastery provides flexibility and softness to the hair which in turn creates beautiful beachy hairstyles that can be easily managed by the client. 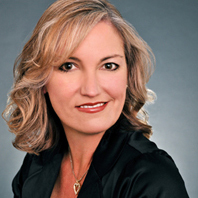 Her expertise in color services has her creating some of the most beautiful blondes in town. She loves to provide clients with multidimensional color and creative color placement. She prides herself in taking a more natural approach to hairstyling and chemical services, seeking out the use of environmentally friendly and organic hair care products.Yaling’s creative endeavors extend beyond the salon; she creates original works of art in exciting mediums for both sale and personal enjoyment. Also on the home front, she loves cooking for her family and friends and staying fit and centered with running and exercising. She and her husband are thrilled to raise four beautiful children in San Clemente, arguably the best beach town in California, watching them blossom as she did in its tight-knit community. 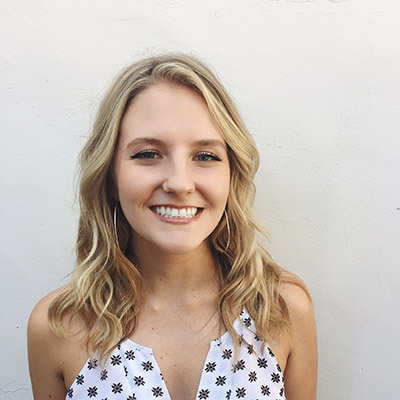 Morgan is a Southern California native with a deep passion for art and beauty. Most recently she has been awarded 1st place for Best hairstylist in Orange County 2013! Morgan is a detail oriented individual with an artistic background in painting and photography. This artistic edge gives her a keen eye for colors and complimentary hairstyles. She has been well-trained in precision haircutting, coloring, Keratin and Brazilian smoothing techniques as well as various hair extensions techniques. Morgan loves working with all types of hair textures and lengths. She enjoys creating original special event hairstyles and as a MAC trained make-up artist she can give you the flawless photo finished look you desire. Morgan is dedicated to keeping up with new trends as well as maintaining and improving the health of your hair. 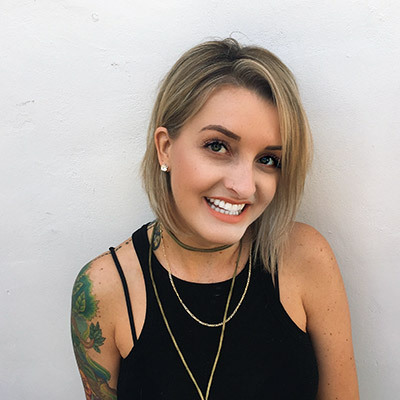 As a skilled cosmetologist for the last nine years, Tiara Rupp has been dedicated to serving her hometown community of beautiful San Clemente. Tiara’s hair styling skills were whetted early, being the daughter of a salon owner and barber. She continues the legacy of hairdressing, even bringing her skills to the celebrity clientele of Beverly Hills and Hollywood. Tiara has great passion for creating beautiful hair designs, each personalized to compliment the individual client, while always upholding the health and integrity of the hair. Some of her customizing styling techniques include: Precision hair cutting for both men and women; Hair coloring; Highlights and lowlights; and Special Occasion Hairstyling and make-up. Tiara is constantly continuing her education and staying on top of all the latest hair trends. Tiara invites you to come in for that new look that you seek and just relax, with your hair in her hands, and enjoy a great experience at Salon Bleu. Hope has been doing hair for over 20 years. The experience that gives her a great perspective and knowledge of the hair industry, both present and past. She started doing hair at the age of 20 in San Francisco, and quickly moved down south to Venice Beach. After working at several salons in Los Angeles the area, including John Louis David in Beverly Hills, she and her husband, David decided to open their own salon in Venice, Euphoria Salon. She owned and operated Euphoria Salon for more than 15 years. The success of the salon led to many other enterprises for her and her husband including their current venture DGIII & Associates Real Estate. After having two children Hope decided to move to the great sea side village of San Clemente. Here they enjoy being a active part of the community. They love volunteering and participating in Pop Warner football and San Clemente little league. Hope specializes in color being a Redkin laboratories educator. She loves the challenge of any color correction. Jasmine is a patient and detailed oriented stylist who came to Salon Bleu in 2012. She started her career from the ground up by receiving a hands-on education through a cosmetology apprenticeship program offered by salon owner, Jessica Weiler. After receiving her licensed in 2014 she has continued her education and harnessed her unique style. Be it dry cutting, to extension placement, to the art of balayage; Jasmine uses her creativity and knowledge to achieve sought after looks. She is a San Clemente local who loves travel, music and all things furry. Claire was born and raised in San Clemente. After graduating from San Clemente High School, she started attending Paul Mitchell in Costa Mesa. After hard work and graduating with honors, she earned her cosmetology license. Claire found Salon Bleu and started assisting the co-owner and stylist of 22 years, Ya-Ling. After learning the ins and outs of the salon, she started taking her own clients. Over those three years at the salon, she has built a strong clientele. Claire loves all of her clients and looks forward to coming to work everyday. It is a passion she has had ever since she was a little girl. She specializes in women’s cuts, color (highlights, balayage, root retouches, all over color, etc.). She offers, and loves to do toddler and child’s cuts, as well as conditioning treatments for her clients. Claire loves when she gets new clients in her chair and gets to build a new, lasting relationship with them. 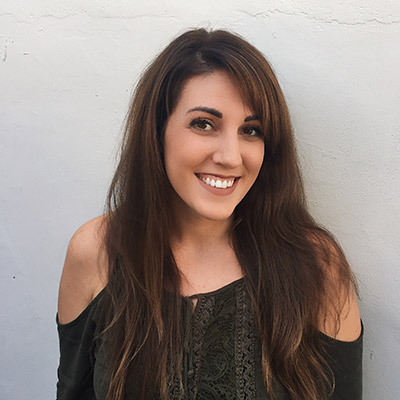 Sarra Blanchard is a San Clemente local and has been working as a licensed cosmetologist since 2010. In that time she has mastered a wide range of cutting edge hair techniques which include foil highlights, balayge, specialized coloring techniques, color correction, grey blending, fashion colors, fashion cuts, modern cuts, men’s cuts, kids cuts, Brazillian blowouts, styling, up-dos, and more. She has experience working behind the chair, as well as on site locations for weddings, photoshoots, and other special events. 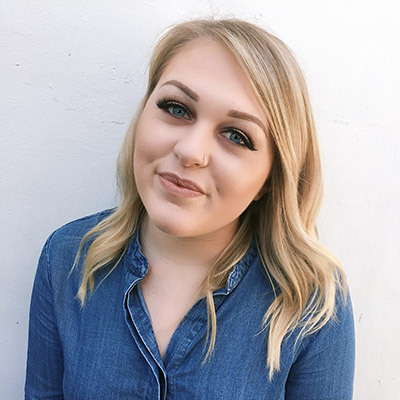 Sarra places high value in listening to her clients and understanding their needs to give them the best possible service and salon experience. 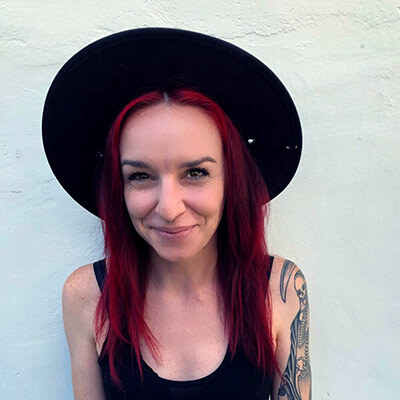 Aveda Stylist Jessica has been with Salon Bleu since 2016. She trained under Salon Bleu co-owner Yaling Sale while completing the apprentice program. She specializes in extensions, color, Brazilian blowouts, razor cuts, event hair and makeup; on and off site. She is Brazilian Blowout certified as well as a certified makeup artist with Glam Lab. 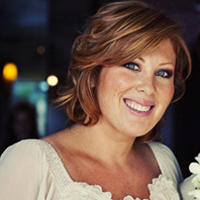 Jessica’s background includes fashion, and permanent makeup; but her true calling and passion is hair. She is welcoming new clients and looks forward to helping you maintain or create the perfect look for you and your loved ones. Work Experience: Hired at Carlton Hair as an assistant, went through a ten month training course and continued on as a stylist for four years. Joined the Salon Bleu Family in April 2017. Specializes in: blondes, bayalage, ombré, highlights, color corrections, grey coverage, funky colors (pinks, blues, purples, pastels), layered haircuts, bobs and men’s cuts.